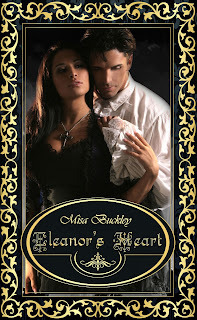 We host Eleanor's Heart Blog Tour today. 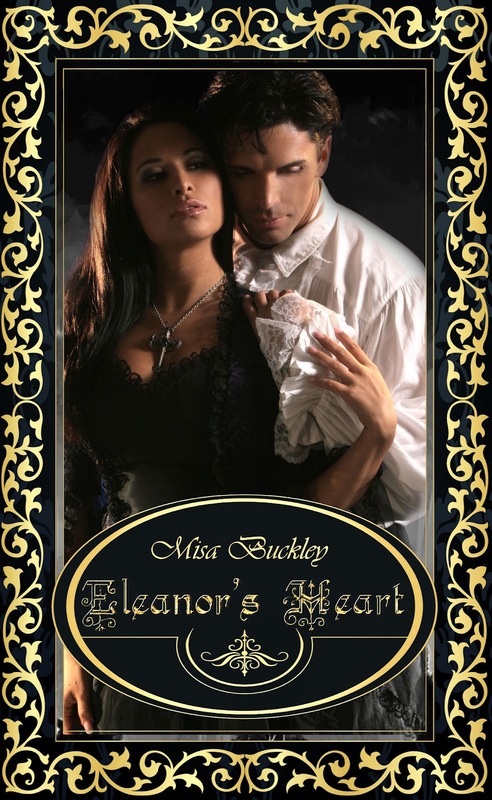 Author Misa Buckley is sharing with us an interview with her character Eleanor. Welcome! Blurb: Dying of a rare blood disease, Eleanor Franklin needs laudanum to ease the pain it causes, often driven to steal in order to buy more. But when she steals a ruby she has no idea that the gem belongs to an ancient race, or that in handling it that she'll tip herself into the midst of a deadly species war. Saved by Jefferson Park, she discovers a man with an even darker past than her own: he is one of the last true Vampires and is fighting to stop the vicious Sanguine from eradicating his kind...and starting on humanity. The key lies in the ruby Eleanor stole - the long-lost Heart of Ishra - and she travels with Jefferson in order to restore the gem to a temple hidden beneath Stonehenge. But the Sanguine on their heels isn't the only problem as Eleanor finds herself falling in love with Jefferson. It is a relationship she cannot commit to, as she knows her time is limited, and she will not risk breaking his heart. but can she resist the attentions of the only people to see her for more than a ruined human being? Welcome to the last stop in the ELEANOR’S HEART blog tour and a big thank you to Reader Girls for hosting! For this post, I was asked to interview one of my characters, so Eleanor’s going to share a few things not in the novella. My family was very poor and couldn’t afford education, so my biggest dream was to learn to write. I had, and still have, a fascination with the written word and longed to be a journalist. Not that sort of thing is an acceptable position for a lady! All the more reason, though I think. Either stories or articles about travelling – I’d never left the city before meeting Jefferson, and doing o has inspired something of wanderlust in me. Oh so many places! I’d love to travel to Europe, where Jefferson’s… ah, family come from. I’d also love to visit the Americas. How does it feel to have gone from rags to riches? It feels good but I also that I need to pass on my good fortunate. I’m currently helping form a school for poor children, so that fewer need to end up in workhouses. Those places should be pulled down! Finding out about my cancer. I’d been ill on and off for several months, which was when I lost my position as a maid. To be told that it would claim my life and not be a pleasant end! I struggled with that diagnosis, but I suppose I must be fairly stubborn, because I refused to give up. Yes, but I can’t really tell you about that. I had to make a sacrifice, but given what I faced, that wasn’t truly a problem. So what is the next big thing for you? Well, this is just between you and me, but Jefferson and I are trying for children. I’d never planned on becoming a mother, but then I’d no idea that I would end up married. Now I want a family of my own. About the author: Misa Buckley grew up watching Doctor Who and Star Trek and reading fantasies from Anne McCaffrey and David Eddings. So when she started writing NaNoWriMo in 2007, it was sci fi that she wrote. She found writing a much-needed haven from the crazy of raising five children and a Land Rover-obsessed husband. It took her a few years to take the step from writing to submitting, but her first published novella, IRONHAVEN, was published in July 2011 by Decadent Publishing. Now contracted with Champagne Books as well as self-publishing, she can be found on Twitter (@MisaBuckley) or at her website.